two rows of handside stitching and polyester bottom pad, all finished off with a quilted cover. The price shown is for a mattress only. 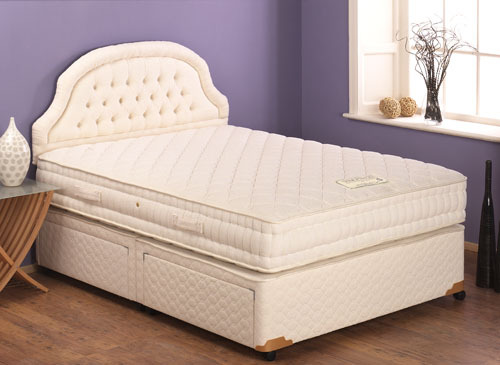 We can also supply the divan base and headboards - please email for details.